The New York Law Institute library is located in the Equitable Building and has a circulating collection of over 250,000 print volumes, including Congressional documents, records on appeal, current and superseded U.S. and state laws, new and archival editions of legal treatises, and archival New York City and New York State materials. The library’s collection also includes over 160,000 eBooks from Proquest and OverDrive, including legal, business, and engineering titles. Also available are numerous remote-access and on-site research databases such as CCH-Intelliconnect, Hein Online, LEXIS Advance, LLMC Digital, OED, ProQuest Congressional, VoxGov, and Westlaw Next. During the 1820s, the majority of legal business in the circuit court, supreme court, and court chancery was monopolized by the “barrister ring” of twelve to fifteen lawyers with the connivance of the judiciary. Two young lawyers, George Sullivan and James W. Gerard, sought to break up this ring and accomplished this in February of 1828 with the establishment of the Law Association, later renamed the Law Institute. In 1854, a fire struck New City Hall. The library was able to save most of its collection but 82 volumes were lost along with many donated artifacts and furniture. 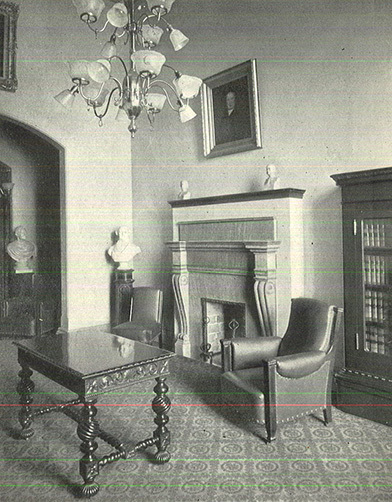 After the fire, the library received major financial assistance from Charles O’Connor, a prominent New York City attorney. 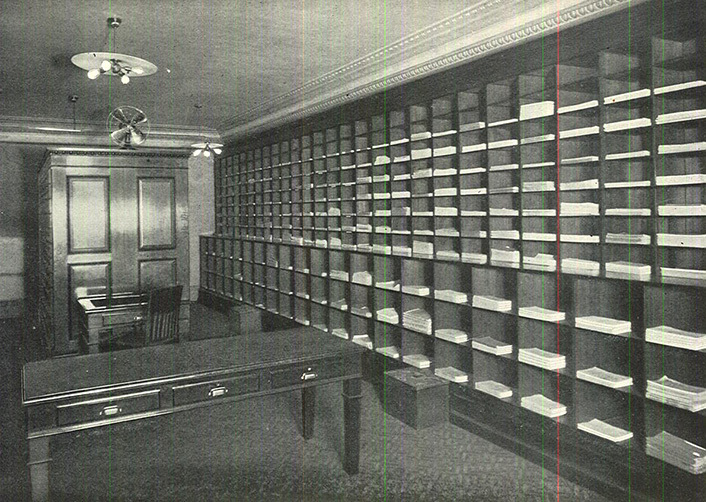 In 1872, by which time the library had grown to over 25,000 volumes, moved to quarters in the new United States Post Office Building located at the southern end of City Hall Park. Under the leadership of long-time director, William H. Winters, the library continued to grow rapidly. 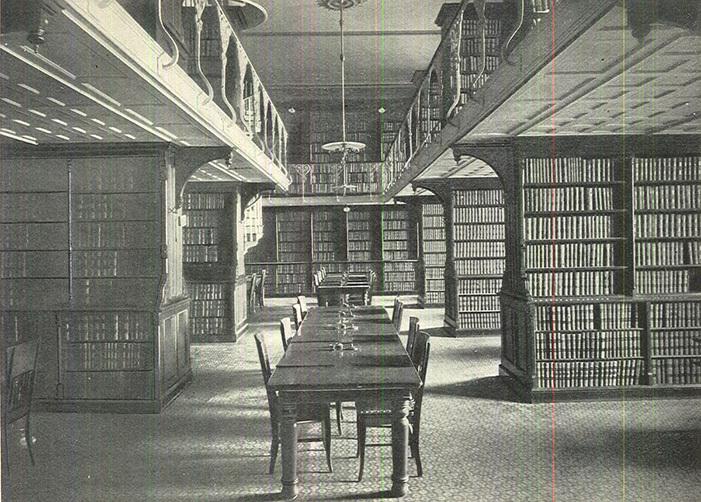 By 1887, the collection had grown to 35,000 volumes, necessitating the expansion of the library from one floor to two. In the subsequent decade, the library continued its steady growth, reaching over 48,000 volumes by 1897. In 1915, the library relocated to its present home, the 40-story Equitable Building at 120 Broadway. 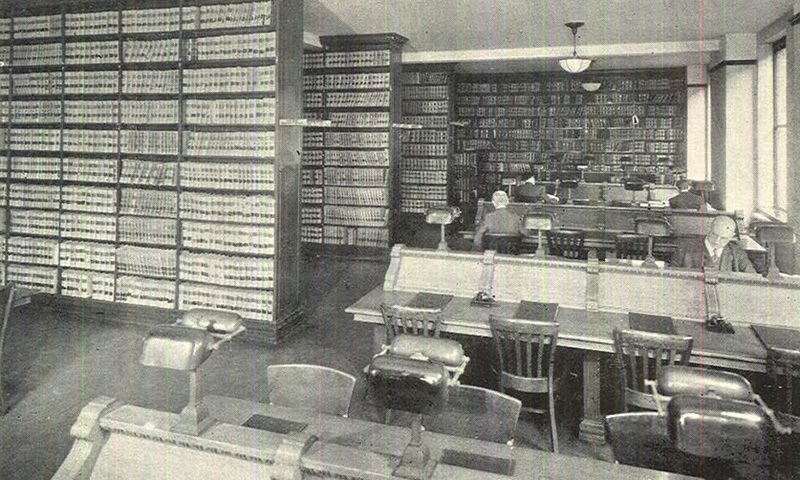 At the time of its move to the Equitable Building, the library held over 99,000 volumes. Today, the New York Law Institute Library has a print collection of over 250,000 volumes, and enters a new era of digital access while maintaining its legacy of current, archival and historical print materials. See our Wikipedia entry for more! **The New York Law Institute is featured in Robert Pigott’s wonderfully informative New York’s Legal Landmarks book. Pigott, Robert. 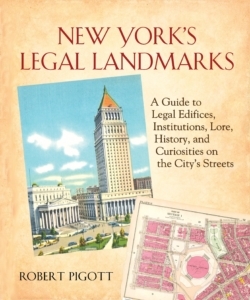 New York’s Legal Landmarks: A Guide to Legal Edifices, Institutions, Lore, History, and Curiosities on the City’s Streets. , 2014. Print.